'April Fool' is a relatively new acquisition; it's an album I never considered an essential purchase (for reasons long forgotten) but then a real cheap copy came my way so I figured, why not? It's not bad actually... while not on par with some of Shankar Jaikishan's great rock'n'roll moments from a year or two down the line, it does contain elements of what was to come: 'Aa Gale Lag Ja' has a loungy ballroom feel to it, but driven by frenetic strumming, and the fun and lively 'Mera Naam Rita Christina' includes twangy guitar bits scattered throughout. 'Kehdo Kehdo Jahanse Kehdo' has elements of country & western, rhythmically anyway, in addition to some nice sax interludes. Worth a listen. And it just dawned on me, this post is 25 days late. Better late than never, PC! Love the album......and can't wait for bluff master! It is even more franetic. Thanx for this one.. again a wonderful underrated SJ score! Some lovely Rafi nos. and the Lata ditty - Rita Christina.. fantabulous! Keep up the god work! Thanks PC! 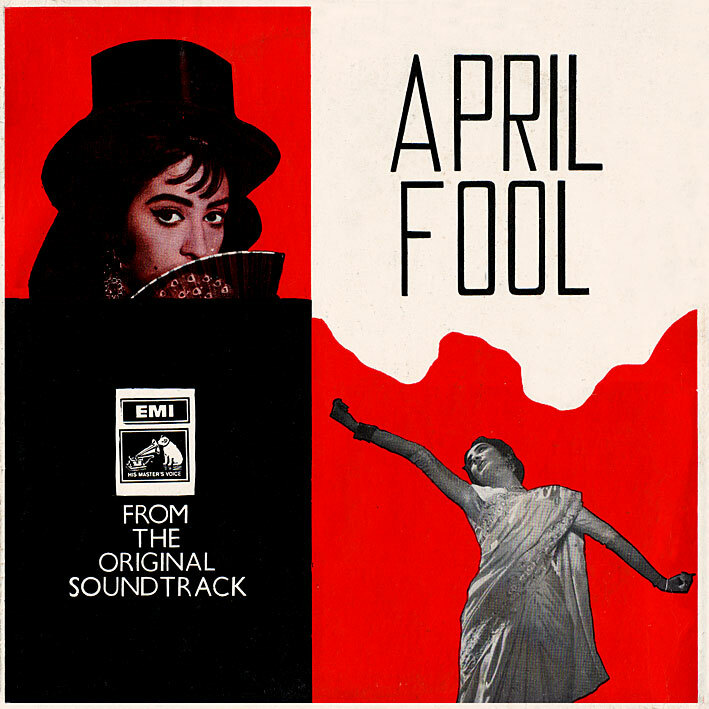 One song I like that you didn't mention in your write-up or give a link to is "April Fool Bandaya"...a fun song with lots of conga percussion and some electric guitar. Oh I love the songs from this...lots of western influence :) Although the film itself is a criminal waste of Bela Bose. The mirrorcreator.com download links are all duds. None of them works. "A gale lag ja" what a song.